I've made a simple applicaton that runs on Linux, Windows, and (probably!) 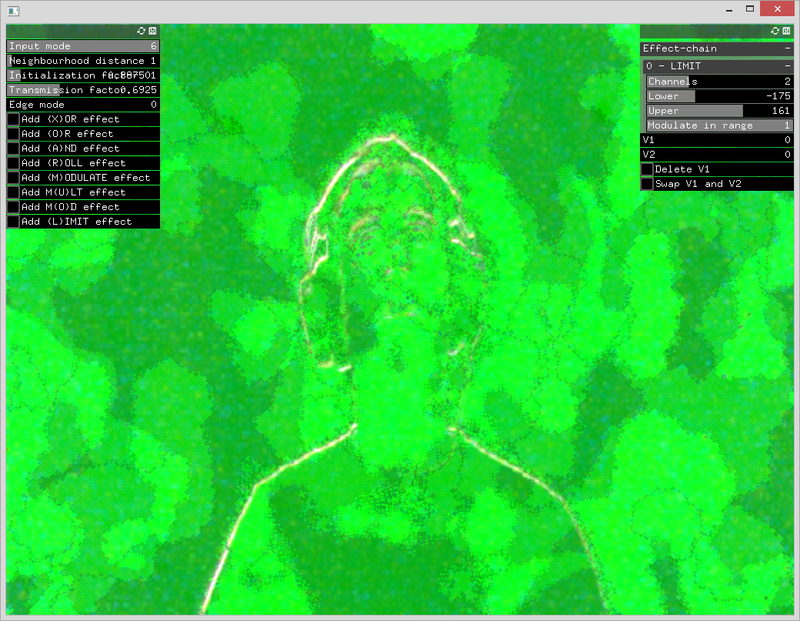 Mac using OpenFrameworks that takes input from your webcam and applies various filters. Check the gallery here and videos here. You can find the source here and windows-binaries can be downloaded here (requires vc redist 2015 32-bit (x86)). Press h to hide the GUI. The FitBit Blaze - wait, why was this thing 250€?